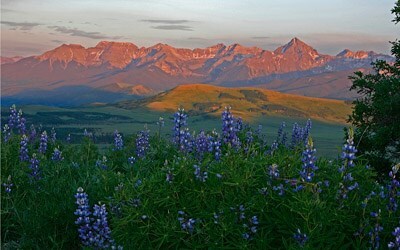 AREA INFORMATION Enjoy year-round adventure on the Western Slope of the Rocky Mountains. Listed as one of the “Top 200 Towns for Outdoorsmen” by Outdoor Life Magazine, Montrose, Colo. is within minutes of prime scenic and recreational attractions. United Country Real Estate | Western Colorado Property Specialists LLC offers unmatched marketing and services to accomplish your goals. 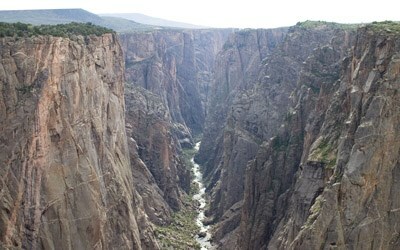 RECREATION Black Canyon National Park offers dark canyon walls plunging some 2,700 feet to the Gunnison River below. The natural features of the park allow for world-class fishing, hiking, rock climbing, horseback riding, nature walks, camping and more. In the winter, you can also ski or snowshoe. Gunnison Gorge National Conservation Area sprawls nearly 63,000 acres. These BLM-managed lands are known for Gold Medal trout fishing, whitewater rafting, kayaking and numerous trails including the 20-mile, Sidewinder Trail. For wildlife and nature viewing there are six designated scenic/historic byways for exploring the 12,000-foot high passes. Downtown Montrose includes shops, restaurants and galleries along Main Street. Western Colorado and Ute history are featured at three museums. Golfers can play one of three courses in town. CLIMATE Semi-arid conditions determine the weather in the Uncompahgre Valley. Precipitation is modest with snowfall melting quickly due to the high altitude and abundant sunshine on 245 days. Approximately 10 inches of snow and nine inches of rain are annual averages. AMENITIES The growing and diverse population of Montrose County is afforded an exceptional quality of life with modern technology and services. Excellent education is provided for primary through graduate levels. RE-1J School District serves more than 6,000 students with six elementary schools, three middle schools and two high schools. Delta-Montrose Technical College offers career and technical certificate programs in health, trades, technical and business fields. Colorado Mesa University operates a Montrose Campus giving students access to associate and bachelor degree programs. Workforce development is offered through the flexible and cost-effective WorkKeys program. Montrose Memorial Hospital is a 75-bed regional medical center that serves the needs of Montrose, Ouray and San Miguel Counties. The hospital staff includes 85 physicians representing 24 medical specialties. Education and healthcare are major economic industries in the county. Volunteers of America, Russell Stover Candies, Inc. and Montrose County are also primary employers in the area. HISTORY Incorporated in 1882, Montrose was named after Sir Walter Scott’s novel A Legend of Montrose. The town became an important regional shipping center. Completion of the Gunnison Tunnel in 1909 by the government helped turn Montrose into an agricultural hub.